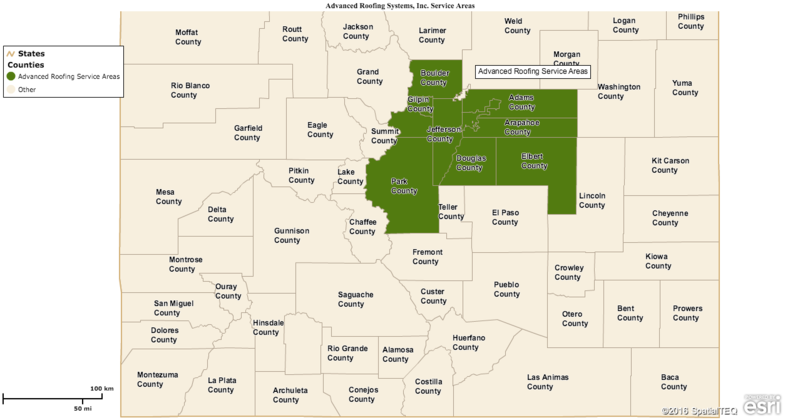 We do roof repairs and replacement in Highlands Ranch and we also serve Denver, Lakewood, Aurora and surrounding areas. A large part of our business comes from word of mouth referrals. Because we put your needs first by only using the highest quality roofing materials that last, our quality of work stands the test of time. We hand pick our technicians to reflect our values of honesty and integrity so you can feel comfortable having them inside your home. We participate in the team Dave Logan program which has some of the highest standards for roofers. We have to adhere to a strong set of standards to maintain our eligibility. Team Dave Logan’s oversight is reflected in all our roofing work in Highlands Ranch, Lakewood, Aurora, Denver, and surrounding areas. We take these standards seriously to make sure your roof lasts through Colorado’s tough winters and severe storms. We will schedule a free estimate for your roof. We will provide a fair and honest assessment of what needs to be done, if anything, and we will make the interaction with your insurance company as seamless as possible.